November 15 marks the 42nd Great American Smokeout, an annual celebration hosted by the American Cancer Society (ACS) that “provides an opportunity … to encourage people to use the date to make a plan to quit [smoking].” Since its inception, ACS boasts that its event has helped reshape public perception on cigarettes as well as initiated major changes in tobacco laws that have helped millions of smokers quit. Unfortunately, ACS and many other public health groups fail to acknowledge how successful this year’s Smokeout will be due to the popularity of electronic cigarettes and vaping devices. Since their debut in 2004, more than three million smokers have transitioned from combustible cigarettes to e-cigarettes, one of many tobacco harm reduction (THR) products that effectively provide nicotine without the damaging elements contained in combustible cigarette smoke. In fact, researchers note that smoke, not nicotine, causes the most damaging effects in combustible cigarettes. And the benefits of e-cigarettes are more than health-related. Not only do they deliver nicotine in a manner that is 95 percent less harmful than combustible cigarettes, they also can alleviate state budgets by massively reducing health care costs. However, if lawmakers have their way, e-cigarettes will go the way of the dinosaurs. In recent months, the U.S. Food and Drug Administration (FDA) have been on a crusade against THR. In its fervor to block THR products for children, FDA has declared an “epidemic” of youth e-cigarette use, and the agency argues that nothing short of a partial ban on THR will solve this so-called epidemic. FDA’s fake news campaign against THR is not only fear mongering, it distorts facts on youth tobacco usage. In 1997, high school students reporting “current cigarette smoking” peaked, with 36.4 percent reporting smoking cigarettes on “1 or more of the 30 days preceding the survey.” In 1996, more than 10 percent of eighth graders reported smoking cigarettes on a daily basis. In reality, youth vaping doesn’t even reach the levels of peak youth smoking rates. Youth combustible smoking rates are now at an all-time low. These rates are significantly higher than FDA’s “epidemic” figures of 11.7 percent of high school students and 3.3 percent of middle school students using e-cigarettes. FDA’s main target in electronic cigarettes is the role of flavors in THR products and their supposed appeal to children. Although children may be attracted to flavors, FDA fails to recognize how appealing flavors are to adult smokers, and essential in helping individuals quit combustible cigarettes. Furthermore, a 2017 study found that nearly 70 percent of older adult vapers reported “current use of an e-cigarette flavored with something other than tobacco.” Even worse, a ban on flavored e-cigarettes would “reduce the use of vaping devices by more than 10 percent,” in the United States, according to a 2018 study. The Washington Post reports that FDA is on the verge of issuing a regulatory change that will ban the sale of flavored electronic cigarettes in convenience stores. Apparently FDA officials believe the public should have less access to e-cigarettes while maintaining massive availability of combustible cigarettes. Since FDA implemented the 2016 deeming regulations, retailers and manufacturers have not even been able to educate consumers of the reduced risk of e-cigarettes. In order for a product to be advertised as such, manufacturers must submit a modified risk tobacco product application. FDA has yet to authorize any, despite reviewing several on snus products, and against decades of evidence finding its usage to be less harmful than combustible cigarettes. 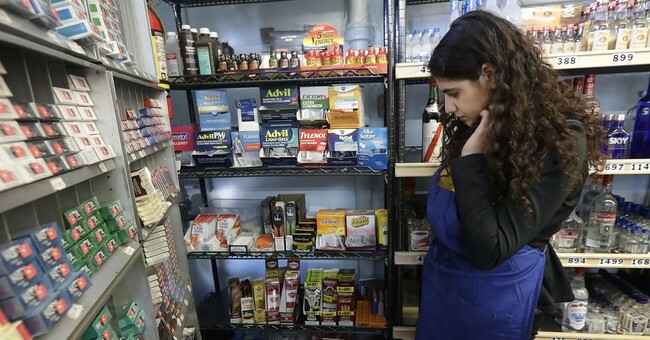 Removing access to e-cigarettes in convenience stores is just another move by FDA to block millions of smokers from learning about, letting alone purchasing, THR products. Most smokers purchase their cigarettes in these brick and mortar shops. Therefore, it is ideal that they should also be able to receive unbiased, factual information on other tobacco products. Americans have celebrated the Great American Smokeout for more than forty years and there is no doubt this event has helped reduce smoking levels to all-time lows. However, a single holiday is not solely responsible for this welcome trend. THR products played a vital role by serving as viable alternatives for combustible cigarettes. However, there is still much room for improvement. There are still 36 million smokers in the United States. The truth is that if THR products continue to be restricted by FDA bureaucrats there will be fewer options for smokers to consider other than combustible cigarettes. If FDA is really intent on reducing the harms caused by smoking, it should allow all Americans the opportunity to purchase THR products at their own discretion.